It's September folks...you know what that means....Football season!!! Now, I must confess that I am not a huge football fan. I am, however, a huge party fan and football season means game day parties, tailgates, and gathering with friends and family. Now, THAT, I can get into. I don't even mind having the game on in the background. In honor of the season, the folks over at Sunday Supper suggested that we share our favorite finger foods for our readers. Tingting's friend, Charlie, came over for dinner the other night. 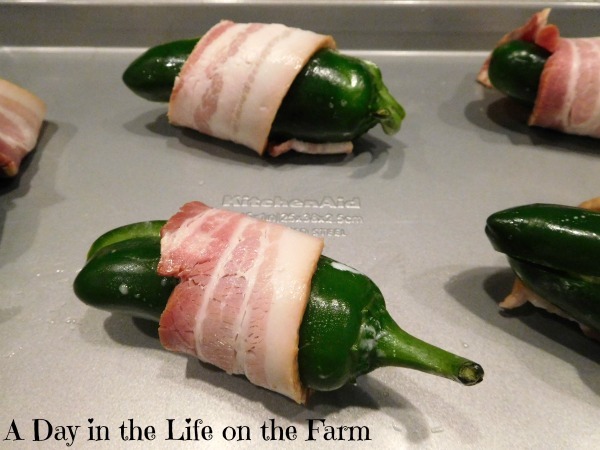 He mentioned that he had been having a hankering for jalapeno poppers all day. 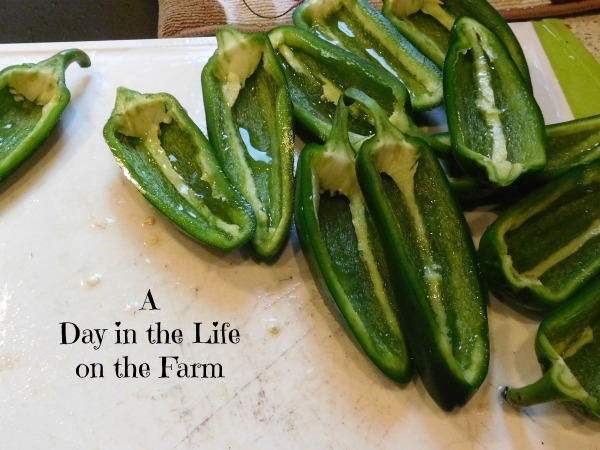 As luck would have it, I had gone to the Farmer's Market that morning and had bought a pile of jalapeno peppers. I didn't know what I was going to make with them but I couldn't pass them up. They were gorgeous. I also happened to have cream cheese, cheddar cheese and some bacon. So, while they played in the pool with my Little Angel Face, I quickly put together these poppers for them to snack on before dinner. They were very surprised when I brought the poppers out to the pool. 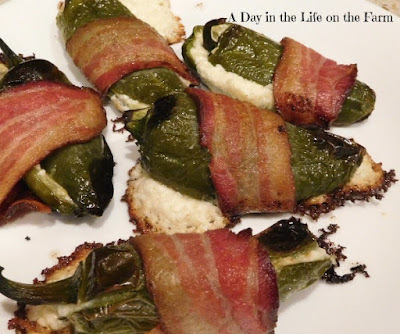 They were gone in a flash, I think Frank had one, Ting had one or two and Charlie scarfed down the rest exclaiming how good they were and that he couldn't believe that I made him poppers. Score a touchdown for the girl's mom!! 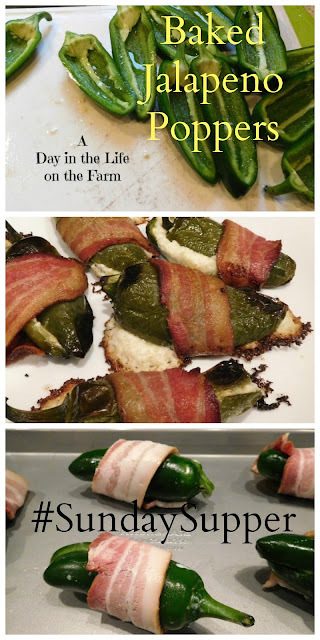 I love that with only 4 ingredients you have these salty, spicy, creamy, delicious appetizers!!! I love jalapenos and this is so great because it really lightens poppers up. It sure does Laura without losing any of the deliciousness. I'm not a football fan. But I do love the food of football season. These sound amazing. Is Charlie a special friend?? They were acquaintances in high school. He was Dian's best friend so he and his girlfriend spent lots of time at our house. When Dian was back in town, he spent time here visiting him and he and Ting connected. They have been going out since July and his status is moved from friend to boyfriend now. I was happy to give the "kids" their popper fix.